Break out your favorite cookie cutters, or buy some new jazzy ones and let’s have some fun (don’t forget to invite the kids)! Gluten and grain free sugar cookies are easy with Chēbē, and the holidays are a great excuse to fill those cookie trays with decorated fun! Using an electric beater, blend the butter and the sugar. Add the vanilla and egg and continue beating until it is creamy. If using baking powder, blend it into the Chebe mix. With a fork or mixing spoon, gradually add in the Chebe mix and blend until it all comes together. On parchment or waxed paper, flatten the dough with a rolling pin to about 1/8” thick. 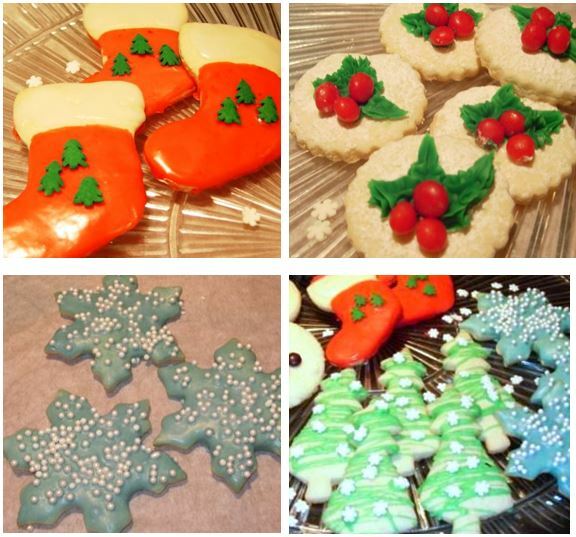 Use your holiday-themed cookie cutters and cut out the shapes in the flattened dough. Line a baking sheet with parchment paper and place the shapes on the paper, keeping them about 1 inch apart. Gather dough scraps together, form into dough, and roll it out again to cut out more cookies. Bake for 12 – 15 minutes. Watch closely after 10 minutes to prevent from burning the edges. The cookies should be lightly browned. Remove and let cool. Spread the frosting evenly with a knife and decorate with your favorite toppings! You may use an electric mixer or a bowl and a fork. First blend the cream cheese and the butter. Add the vanilla then slowly incorporate the powdered sugar until all is well blended. Set aside. The proportions of the butter, cheese and sugar may be altered slightly to give the texture and flavor you desire. You may prepare the frosting and store it in an air-tight container in the refrigerator for several days. *For an egg-free version, use 3 Tbsp aquafaba. These cookies freeze well, so you can make several batches to stock up. You can eat them cold, right out of the freezer for a great treat!